For many practical reasons, our UIs are designed to be two dimensional. Once you throw in meaningful content, some navigation, and other doo-dads to make your application usable, adding any more dimensions simply gets in the way and becomes a distraction. Despite the stranglehold two dimensions have on what we create, there are subtle and effective ways of sneaking an extra dimension in here and there. Notice what is happening to the background while you are scrolling. You have a big yellow circle that moves much slower than your scroll speed, a blue square that scrolls much faster than your scroll speed, and you have a green hexagon shape (that you can barely see) that moves in the direction of your scrolling. All of these variations in speed give off the illusion of depth. It makes it look like the various background elements are away at various distances, and it gives our content some extra depth. Bam! That's some sweet parallax at work here. In the following many sections, you will not only re-create this parallax effect, but you will also learn all about how it works the way it does so that you can take advantage of it in your own projects. OMG! An Animation Book Written by Kirupa?!! 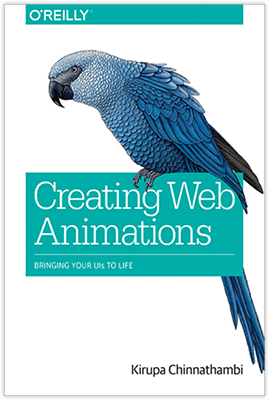 To kick your animations skills into the stratosphere, everything you need to be an animations expert is available in both paperback and digital editions. Generically speaking, parallax is the name for the illusion where objects' positions seem to be shifted based on the angle you are viewing them in. Have you ever noticed when you are driving that things further away seem to move slower than things closer to you? That's an example of parallax where your orientation to your surroundings affected your perception of how far things moved. To learn more about Parallax, head on over to the ultimate authority on all things parallax, Wikipedia! Before we start looking at the sweet implementation that makes our example rock, let's take a few steps back and talk about how exactly this effect works. As you will see in a few moments, how this effect works is pretty simple. It just takes advantage of a few techniques that you normally don't see being used together in this context. First, your content will not interfere in any way with what is happening behind the scenes. Second, you can squeeze a lot of performance by doing this - something I will discuss towards the end of this deconstruction. The next thing to look at is the scrolling itself. There are at least three ways you can scroll content in a browser. One way is by using the scrollbars. Another way is by using the mouse wheel. On mobile devices, a common way is by using your fingers. The final way is by using the up / down / PgUp / PgDn / etc. keys on your keyboard. Regardless of how you scroll your page, when you scroll, everything on your page moves up or down by default. The amount they move may vary depending on whether you used the scrollbar, fingers, mouse wheel, or keyboard, but rest assured that everything on your page will move. The thing is...we don't want our background elements to automatically move when we scroll our browser. We want to control how much our background elements scroll (and in which direction) ourselves. With this change, this means we can adjust our background element positions as we see fit. The last thing that remains is actually shifting our background elements' positions. The way we do this is by paying attention to how much we have scrolled our browser window. Depending on how far we have scrolled (or are currently scrolling), we adjust our background elements' positions accordingly. That sounds pretty simple, and as it turns out...it actually is! These style rules affect the three div elements we just added, and take a look at the properties we are setting on them. The shapes you see are background images. Each div element takes up the full size of the viewport, and we adjust the position and size of each background image to give us the final effect. If you save your document now and preview what we have in your browser, you'll notice that these background images appear. When you scroll the page, the content scrolls. The background elements stay fixed. The background elements also appear behind our content. Let's go back to our CSS! 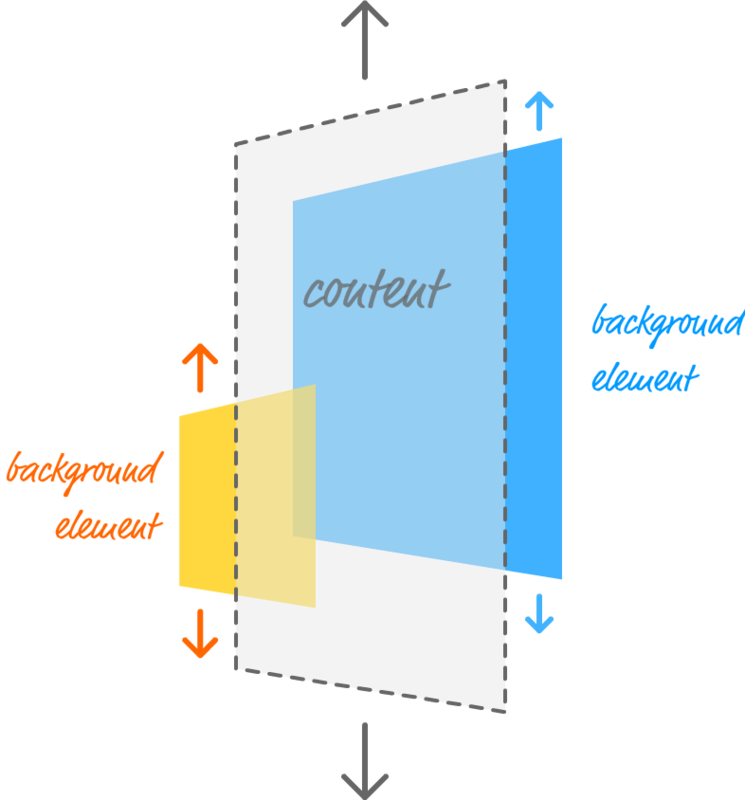 The way we ensure our background elements stay fixed is by setting the position CSS property to fixed. To ensure our background elements appear behind our content, we set the z-index property to a negative value like -1, -2, or -3 for each of our div elements. We will write this code gradually and talk about what is happening at each step. This should be pretty straightforward. We are storing our bigYellowCircle, blueSquare, and greenPentagon elements in variables of their same name using some help from the querySelector method. We just added a function called setTranslate, and it takes three arguments. 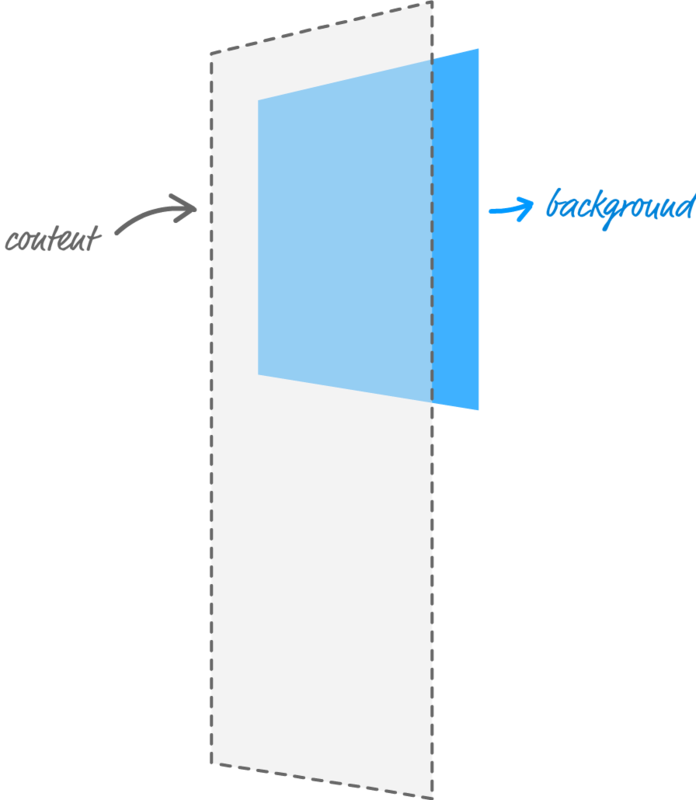 The horizontal position, vertical position, and the element to set the transform on. There are a bunch of quotation marks and stuff to allow us to re-create the translate3d transform while allowing the numerical values to be specified by our arguments. It works. I swear! Looks much cleaner, right? Browser support is limited to only the newest releases, so you may want to wait a bit before using it or use a transpiler like Babel to support older browsers as well. We store the current scroll position in our xScrollPosition and yScrollPosition variables by accessing the window.scrollX and window.scrollY properties. Because these properties will change as we scroll our page, we need a way to keep our xScrollPosition and yScrollPosition variables up-to-date. That is where the requestAnimationFrame call comes in. It ensures we call our scrollLoop function every time our screen is ready to update - no slower, no faster. Double-check to make sure nothing is off, for it is easy (and hard to spot!) the rare typo, missing comma, or uneven quotation mark! There are a bunch of different ways to implement parallax scrolling. The one described here is more on the simpler side. As you can see, everything is done in less than 20 lines of code while still giving you a fair amount of flexibility in customizing how your background elements will scroll. The only thing to keep in mind is performance. 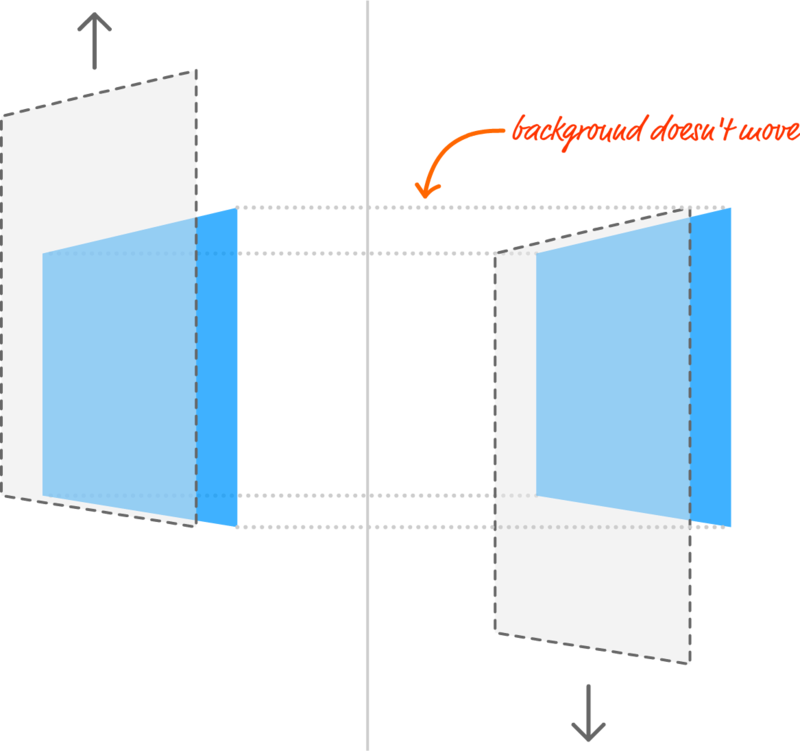 The approach described here will scale to having hundreds of background elements sliding up, down, left, or right without killing your frame rate too much. As always, though - profile and measure to make sure!